The Camberwell, Chelsea, Wimbledon Foundation Diploma covers art, communication and design. The course gives you the chance to try different art and design disciplines. It will help you build a portfolio for application to an undergraduate course. This could be within University of the Arts London or beyond. 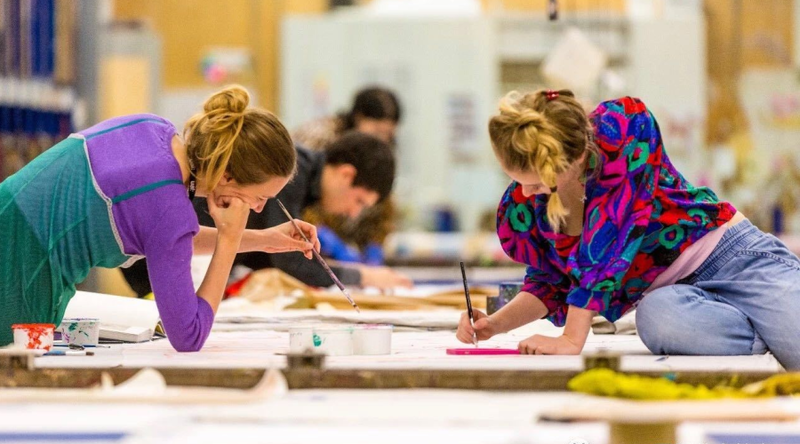 All Foundation students who pass the year will gain a place on an undergraduate course at UAL. This mode is best if you are unsure which pathway to choose. It will give you a broad range of experience to help you decide your future direction. You will be able to try the Art, Communication and Design pathways. After this you will then choose a specialist option. This mode is best if you are very confident in your future direction. It allows you to apply direct to one of the pathways. You will gain an introduction to the specialist options within your chosen pathway. Please be aware:We may offer you a place on the course, but in a different mode to the one on your application form. The Foundation Diploma at Camberwell does not have a Fashion pathway. You should apply to the Foundation Diploma at Central Saint Martins for this pathway. FdA Graphic Design at Camberwell will not be taking applications for 2019/20. The course has a focus on human scale and material experimentation. Student projects include architectural interiors, installations, sensory environments and furniture design. The course prepares you for a variety of careers in the art and design industry. This course was formerly delivered at Chelsea College of Arts. The MA is taught over 2 years in 6 blocks of 10 weeks. Extended Full-Time mode is a hybrid of part time and full time study. MA Designer Maker at Camberwell College of Arts is aimed at practitioners with well-developed workshop skills who are seeking to pursue a critical and reflective approach to their practice. MA Fine Art Digital at Camberwell College of Arts focuses on art that engages with, uses and is impacted by digital. This course doesn’t focus on technology but presents it as a tool to facilitate ideas. It places emphasis upon its creative and artistic use. The MA Fine Art Digital is offered both as a studio based and an online course. • The objective of this highly intensive fashion programme is for students to produce a portfolio of work which can be used to apply for an undergraduate, postgraduate fashion programme, or for employment or personal development. • The Diploma in Art and Design - Foundation Studies course at Central Saint Martins offers both specialist and diagnostic modes of study. If you’re confident about your future direction, the specialist mode lets you apply to one of four curriculum areas. The diagnostic mode allows you to explore all four specialist curriculum areas as part of your preparation for BA application. 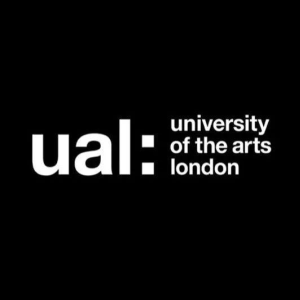 • Starting in 2017/18, all Foundation Diploma in Art and Design students who successfully complete the year will be guaranteed a place on an undergraduate course at UAL. • Whichever mode you choose, over the first 10 weeks (Part One of the course) you will rotate through a series of projects that will ask you to experiment with a range of materials and processes that support ideas development within art and design. After this initial period of investigation and experimentation you will be guided, through tutorials and assessment, to the specialist pathway that best suits your interests and abilities. • Over two stages the Graphic Design Portfolio Course provides students with a solid foundation in graphic design or to develop established skills. It is expected that the majority of students will use the course to apply to a BA or MA course by building an original and effective graphic design portfolio. • Orientation to art and design is a single 7 or 9 week course carefully created to help students with little or no art and design education to bridge the gap between their current skill level and the experience and visual thinking required to gain access to the Foundation Diploma in Art and Design (or other equivalent course). The course will be beneficial to students looking to develop a portfolio for BA undergraduate applications, for those who want to return to education and use the course to a make an application for an MA and for professional practice. Photography Professional Practice and Portfolio Course is a full-time course providing one day’s tuition per week, on Saturdays. The course runs as one 20 week course split over two terms with a break for the Christmas holidays in between. You are expected to work on your projects outside of class time, and allow approximately 15 hours a week for self-practice and portfolio creation. BA Architectures runs for 90 weeks full time over three years, and is divided into three levels (or stages), each lasting 30 weeks. The whole course is credit-rated at 360 credits, with 120 credits at each Level (Stage). BA Fine Art is part of the Fine Art programme. It provides broad pathway options in 2D, 3D, 4D and XD practice. These create a focus for sustained critical engagement, enabling both specialisation and interdisciplinary communities of practice. The BA Fine Art programme runs for 90 weeks full time over three years. It is divided into three Levels (or Stages). A Drama Centre course at Central Saint Martins. Unique in this country, MA Directing is a four year integrated Masters course. MA Directing runs for 144 weeks full time over four years, and is divided into four Levels, (or Stages) each lasting 36 weeks (30 weeks of study and 6 of production/performance in the first three years). The whole course is credit-rated at 480 credits, with 120 credits at each Level (Stage). This part-time course is designed as a bridge between BA Architecture (RIBA Part I) and M:ARCH Architecture (RIBA Part II). The course is open to graduates from other BA Architecture (RIBA Part I) courses. The Graduate Diploma in Fashion is a one-year programme for fashion graduates, aiming to prepare sophisticated designers for the next stage of their careers. Created for International students, the course is now open to Home/EU applicants. You’ll specialise in Womenswear, Menswear, Fashion Design with Knit or Fashion Design with Textiles. The aim of the course is to enhance your employment prospects, whether you wish to follow a career as a pattern cutter in education or the industry, or to enhance your understanding and effectiveness as a designer. • At least one year of relevant professional experience. Apply your imagination by framing an original and personal research project and question existing assumptions and boundaries in one or more of the creative disciplines. MA Architecture: Cities and Innovation is part of the Spatial Practices programme. It is uniquely positioned at Central Saint Martins to draw on dynamic design thinking from a range of practices from fashion through performance design to product design. Research, analysis, proposition and intervention will enable you to develop new insights, solutions and methodologies for exploring the challenges of new forms of architecture within a rapidly changing environment. This pioneering course investigates the creative relationships between art and science and how to communicate them. The course is aimed at graduates with some work experience who wish to challenge themselves by developing innovative approaches to arts management and cultural production. Two study routes are available, a two year part-time option, and a Flexible Learning option which is a unit-by-unit approach that allows candidates up to five years to complete. Both routes are low-residency and combine online learning and intensive face-to-face sessions. MA Contemporary Photography; Practices and Philosophies is a two year (60 weeks) part-time course structured as two consecutive periods of 30 weeks each. Course attendance is three days in year one, and two days in year two. In year one we expect you to commit an average of 40 hours per week. In year two, your study is predominantly self-managed but we expect you to commit an average of 20 hours per week. Across the two years, you're expected to commit an average of 30 hours per week. Established in 2013, MA Culture, Criticism and Curation at Central Saint Martins works with two distinctive approaches: allying itself to culture as a broad-based field and treating intellectual and practical work as a joined-up form of enquiry. The Fashion Journalism pathway focuses on writing, editing and digital media. Fashion Image is for innovative image-makers; and Fashion Critical Studies explores the social, political and cultural meanings of Fashion. The MA Fine Art studios are located in an independent building in Archway. MA Innovation Management focuses on the need to equip graduates with the intellectual and practical abilities to operate creatively and strategically as an innovation manager within complex environments and contexts and to continue their development academically and professionally. On this course you'll design visitor experiences and events for museums, brand, urban and community environments and work in small multidisciplinary teams to tell stories through text, image, sound and physical space. This course examines the history of contemporary art through key developments in the exhibition form. Central Saint Martins was one of the first educational establishments to recognise the importance of the moving image as an art medium and continues to lead scholarship through its academic activities and related archives, such as the Moving Image Forum and the unique resource of the British Artists Film and Video Study Collection. You’ll benefit from our strong link with LUX, a key UK agency (based in London) for the support and promotion of artists' moving image practice, where you’ll have unique access to the professional working context of LUX as well as its large network of collaborating national and international institutions, artists and key arts professionals working with the moving image. This one-year course for international students is a practical and theoretical preparation for applications to undergraduate courses in Design, Media, and Screen at London College of Communication. At the application stage, prospective students may indicate which particular pathway they are considering to study in our Design School, Media School or Screen School. Successful completion of the course will give you the opportunity to progress to an undergraduate course at LCC, or in some exceptional cases a UAL Foundation Course. An intensive, vocational route into the graphic design profession that can provide a portfolio for further study at postgraduate level. International: Introduction to the Study of Fashion is a preparatory and diagnostic course designed for International students (non EU countries) who want to progress to an undergraduate course at London College of Fashion. The International Preparation for Fashion (Certificate in Higher Education) course is designed for international students (non EU countries) who want to progress on to a BA Honours programme (3/4 years) or an Integrated Masters programme (4/5 years) at London College of Fashion. London College of Fashion offers 3 Integrated Masters Degree courses. Students undertake three years of undergraduate level study, followed by a fourth year of postgraduate level study, leading to a Masters qualification. This course will run at Level 6, which is equivalent to the final year of a BA Honours degree, and is a preparatory course for students who want to study at postgraduate level, but currently need further knowledge and skills before being eligible for postgraduate study. Ideal candidates will come from a background of fashion design or related degrees, exceptions will be made from other courses if a proficiency of the subject can be shown through portfolio evidence. Graduates enter careers in retailing, marketing, brand and design management, or progress to MA study. In 15 weeks of intensive teaching and learning the PG Cert Buying and Merchandising equips students with the relevant skill set to successfully apply for market entry positions in Buying and Merchandising. There are two specific but interrelated pathways: History and Culture; and Fashion and Film. Theoretical and methodological perspectives give a grounding in the history of fashion and an underpinning of social and cultural theory for both pathways. The only MA in the world exclusively focused on Fashion Curation. MA Fashion Futures explores digital design applications, the interplay of hard and soft sciences, design futuring, fashion design theory, fashion thinking, meta design, ethics, politics, psychology and anthropology. MA Fashion Journalism is a unique course in its merging of cultural theory with fashion journalism. This course bridges the gap between core communication disciplines such as journalism, photography and styling with digital media practices and film-making. Students choose from a range of units that combine practice and theory in both collective and independent study. Students have two pathway options: Creative Pattern Cutting OR Garment Technology. Both 2D and 3D technical skills are taught, alongside contextual industry study. The first Masters programme in the world to apply psychology in the context of fashion.